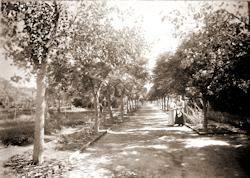 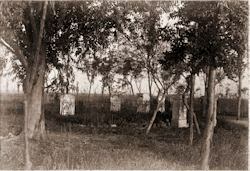 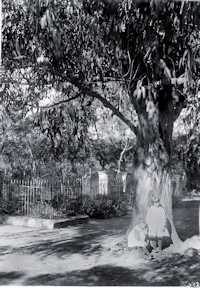 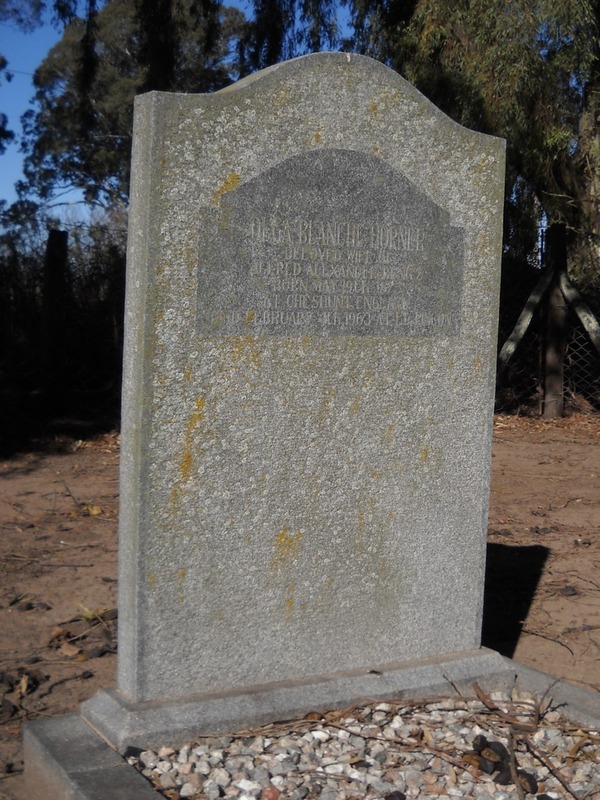 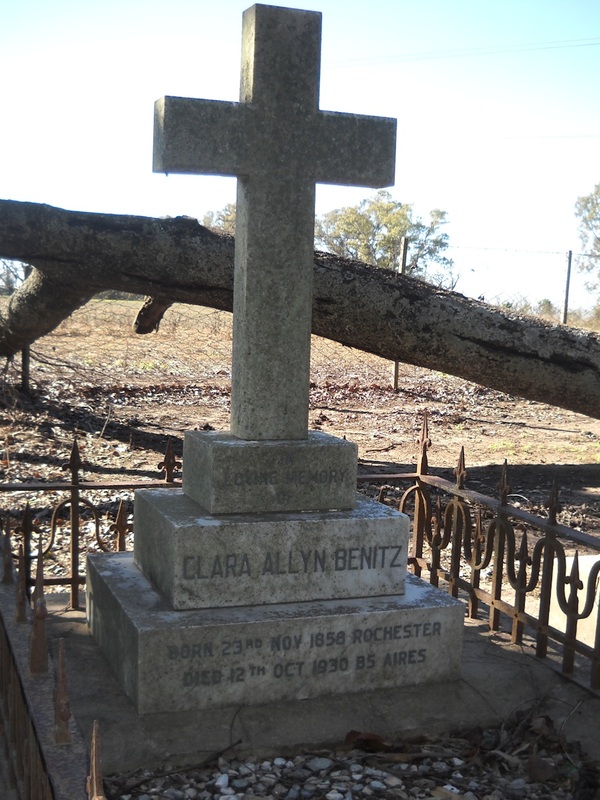 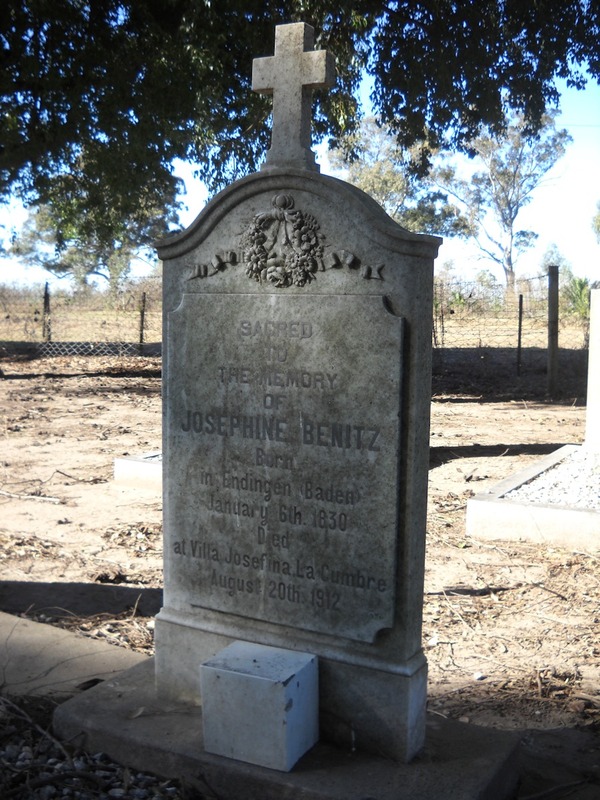 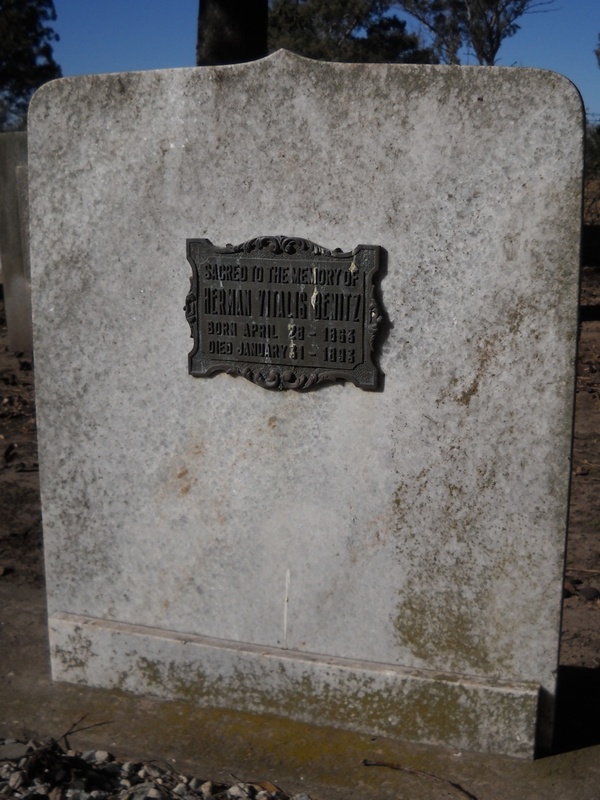 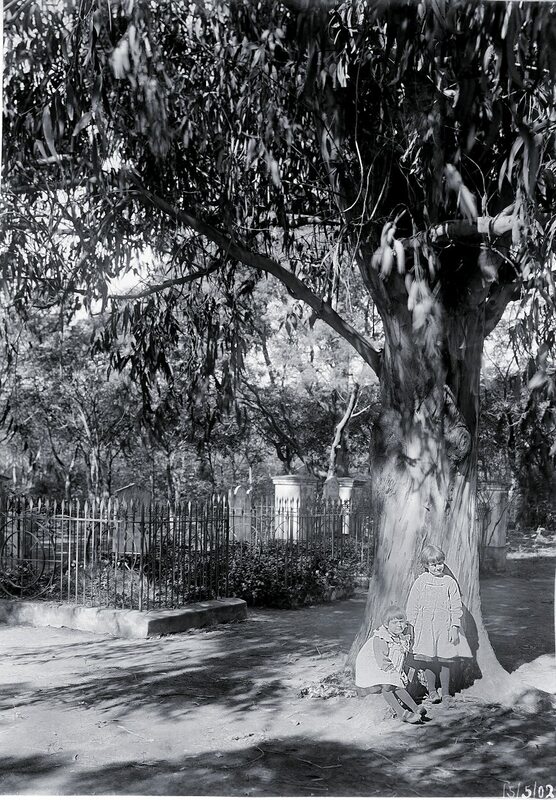 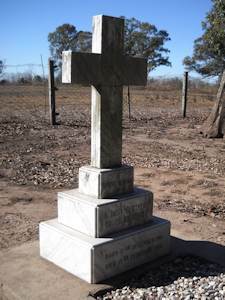 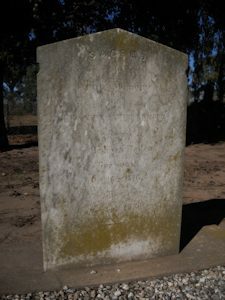 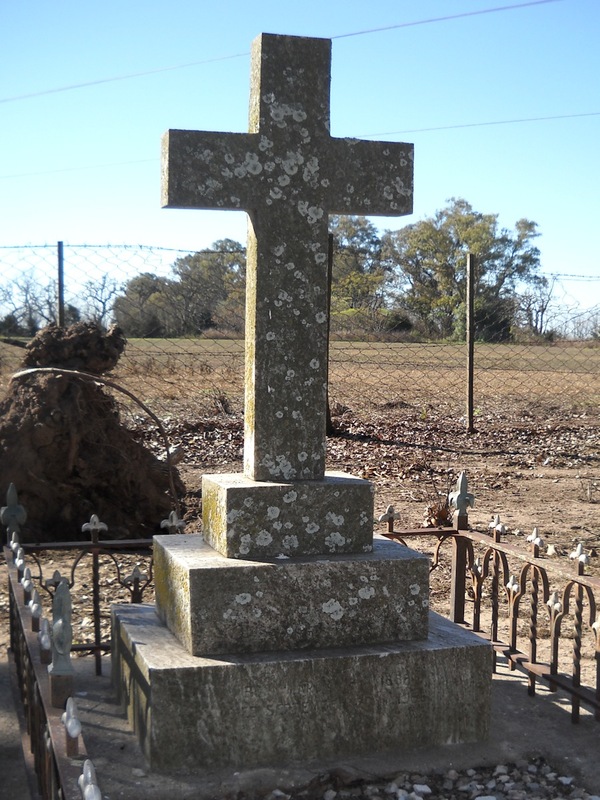 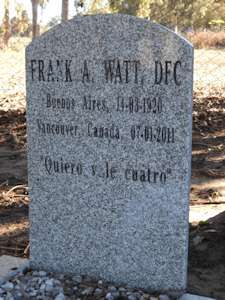 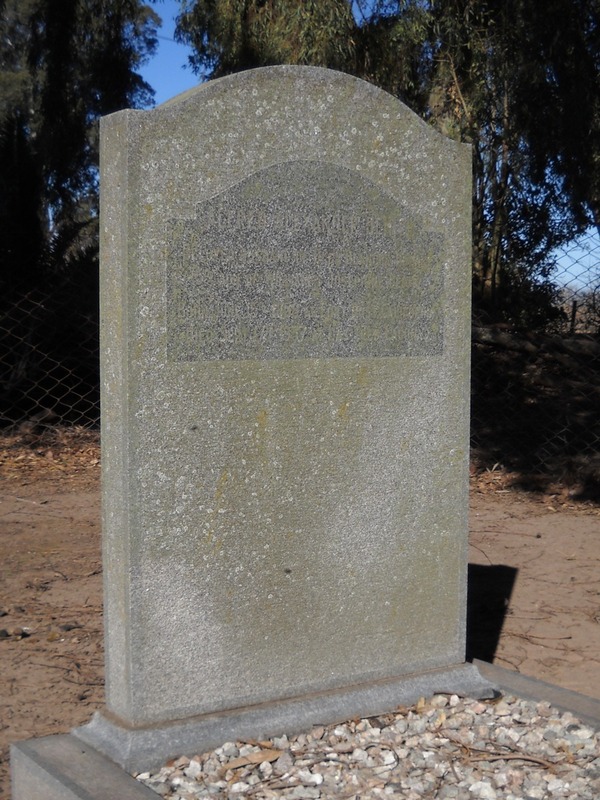 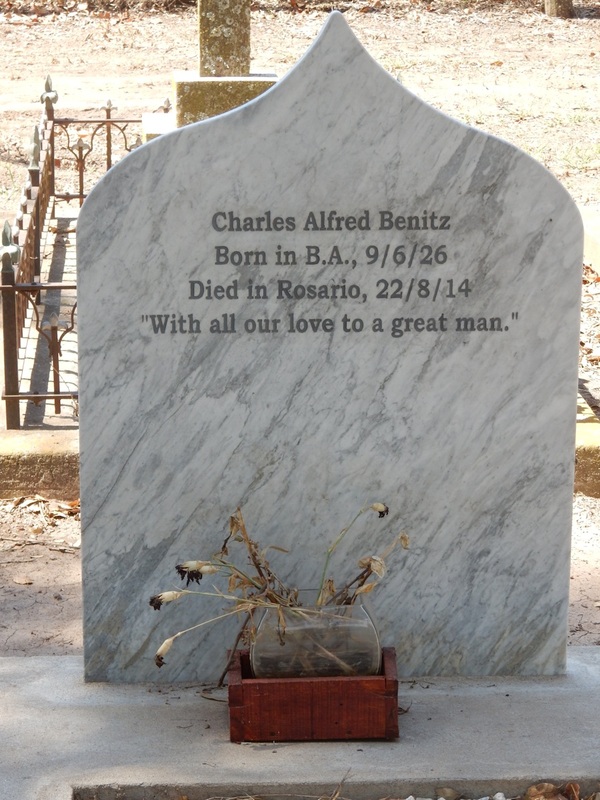 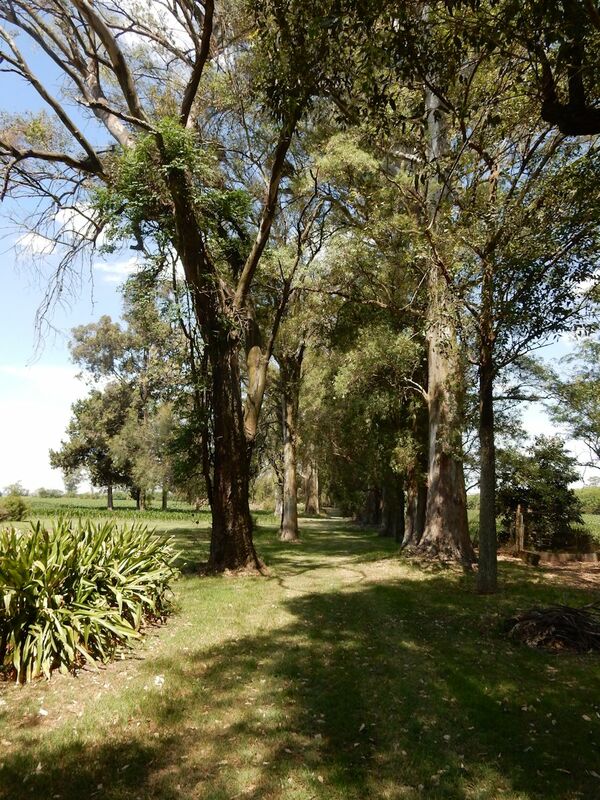 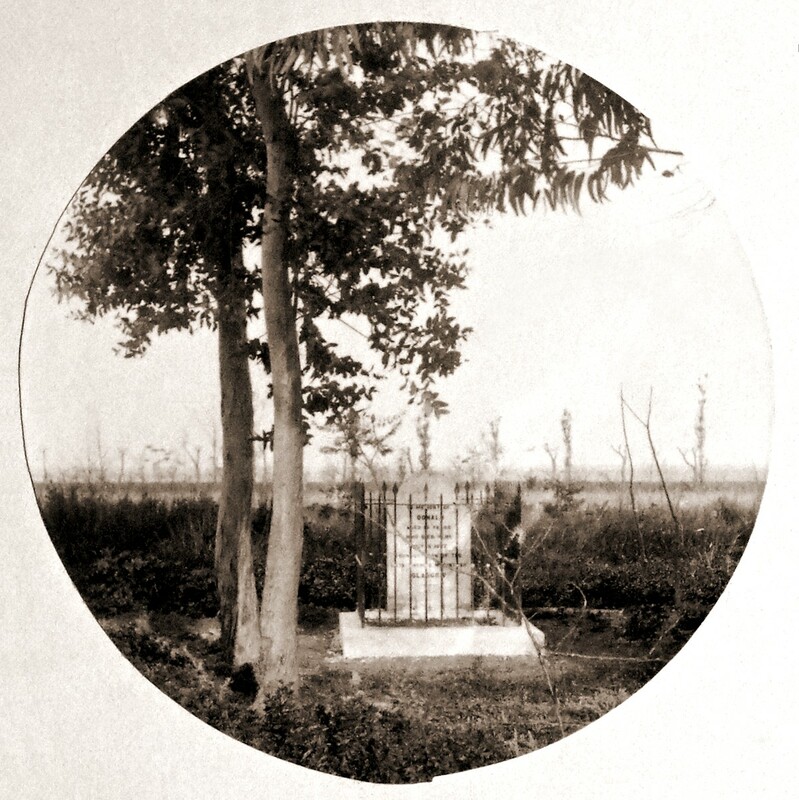 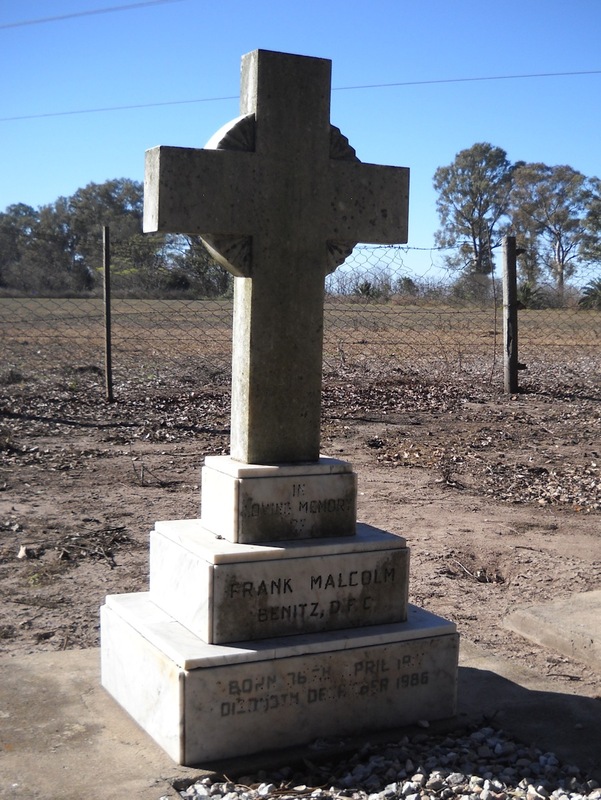 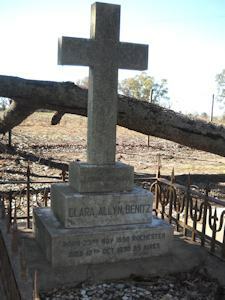 The cemetery at estancia “La California” (Las Rosas/SFé) was established in 1876 with the death of William Benitz (Wilhelm Böniz). 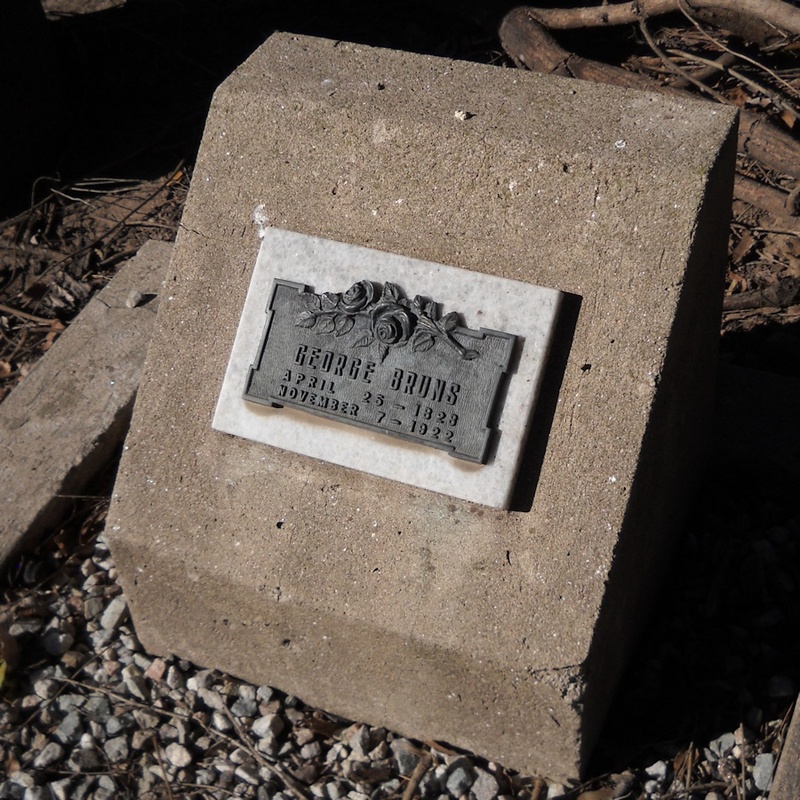 Family members, friends, and employees have been buried there ever since. 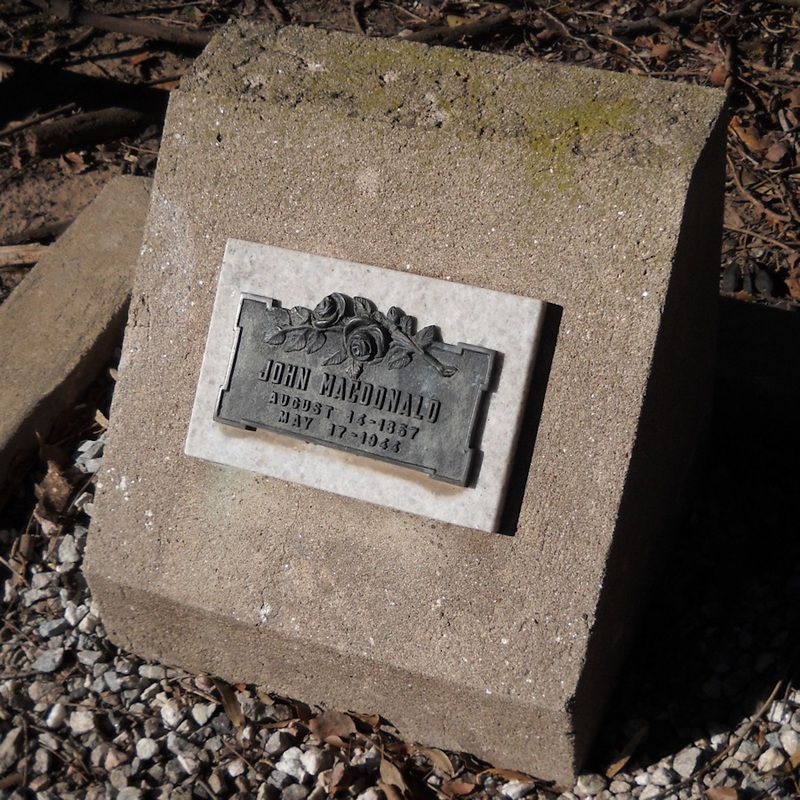 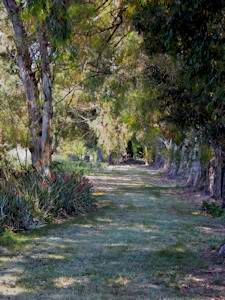 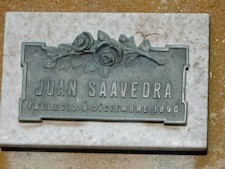 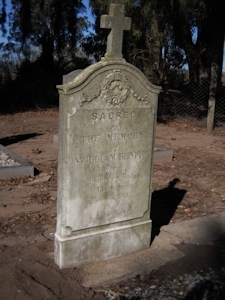 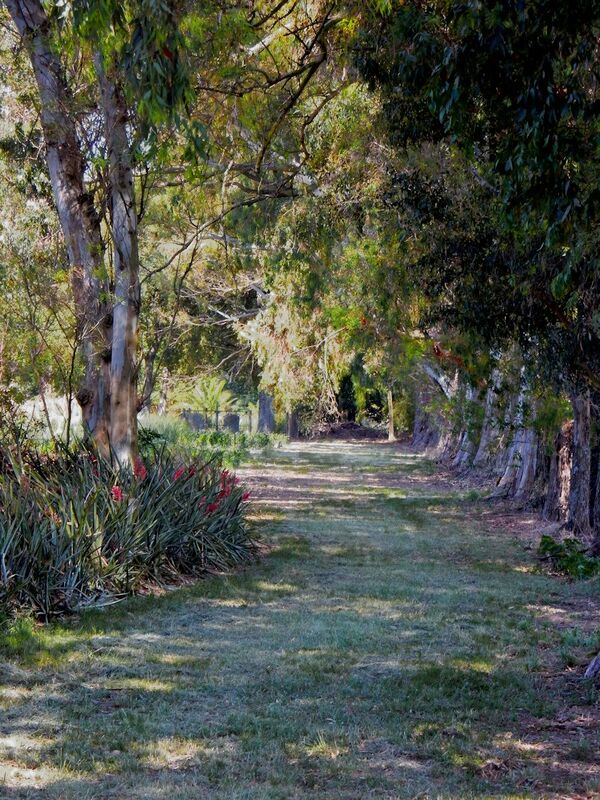 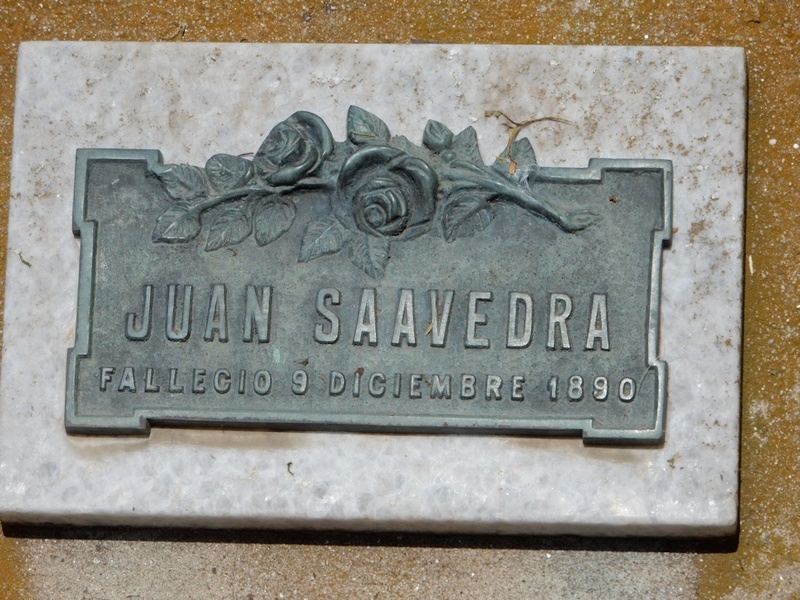 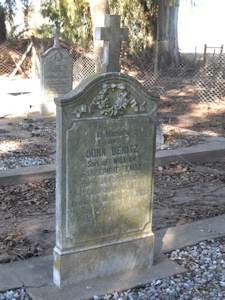 More recently, ashes of those who died far from “La California” have been buried there. 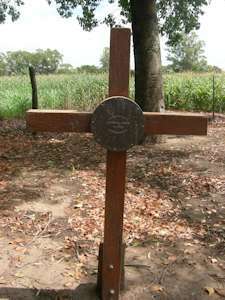 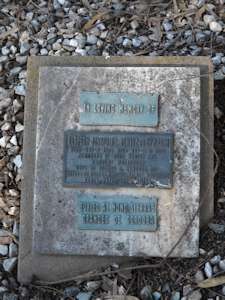 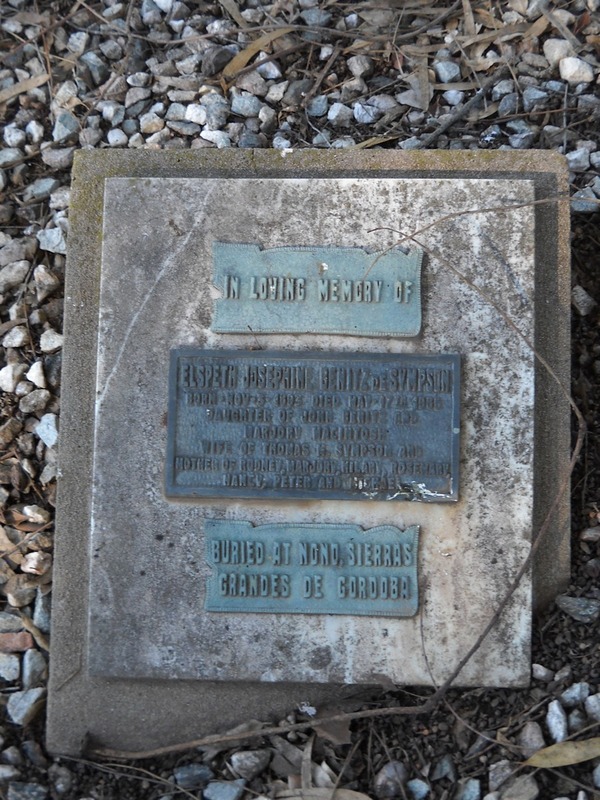 In addition, there are commemorative stones, crosses, and plaques for some who are buried elsewhere. Surnames include: Bell, Benitz, Bruns, Frend, Jeans, MacDonald, Macintosh, Martin, Saavedra, Sympson, Watt. 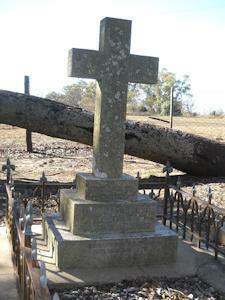 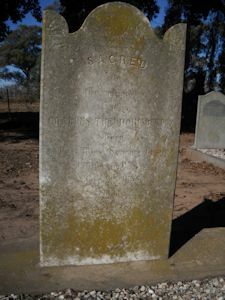 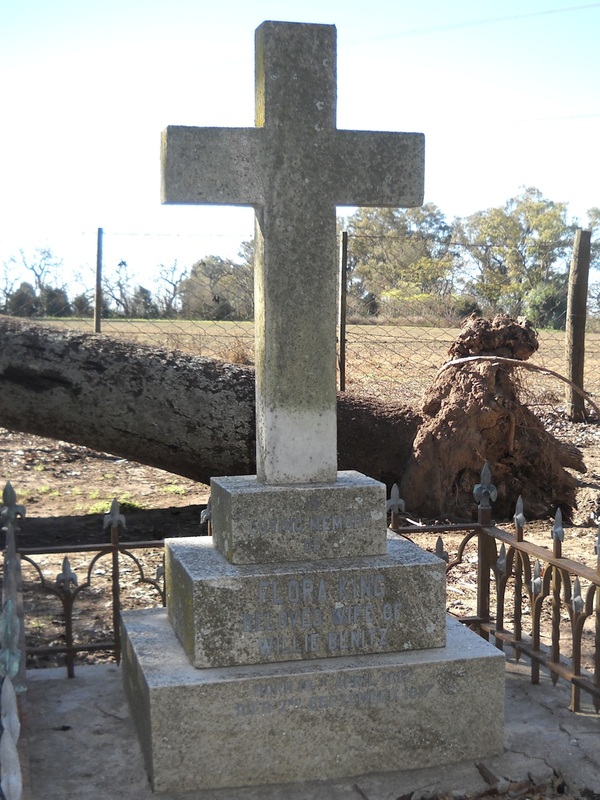 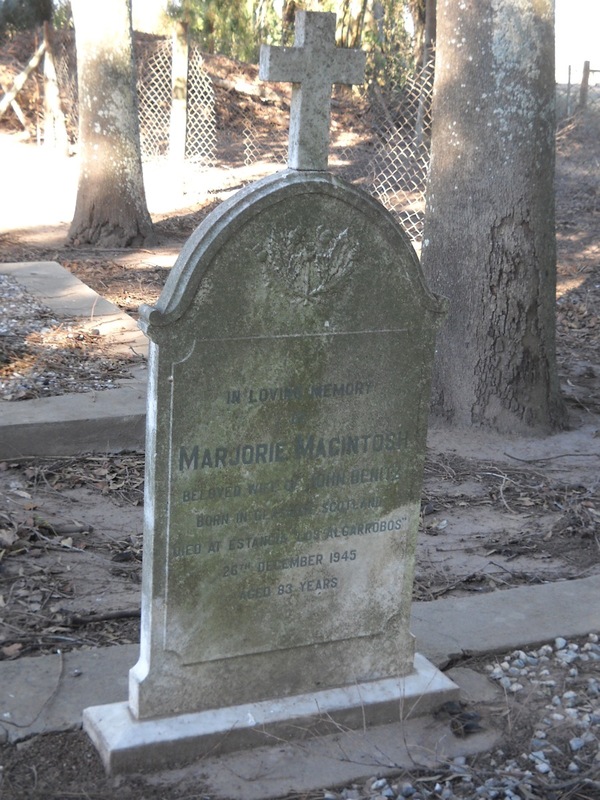 The headstones and railings have suffered over the years particularly from falling eucalyptus tree branches. 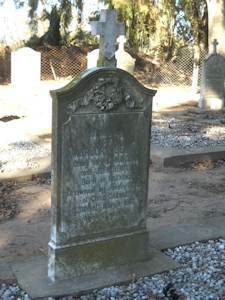 The headstones have been repaired but almost all the railings have been removed. 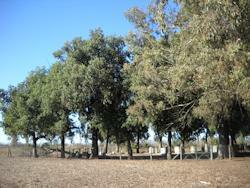 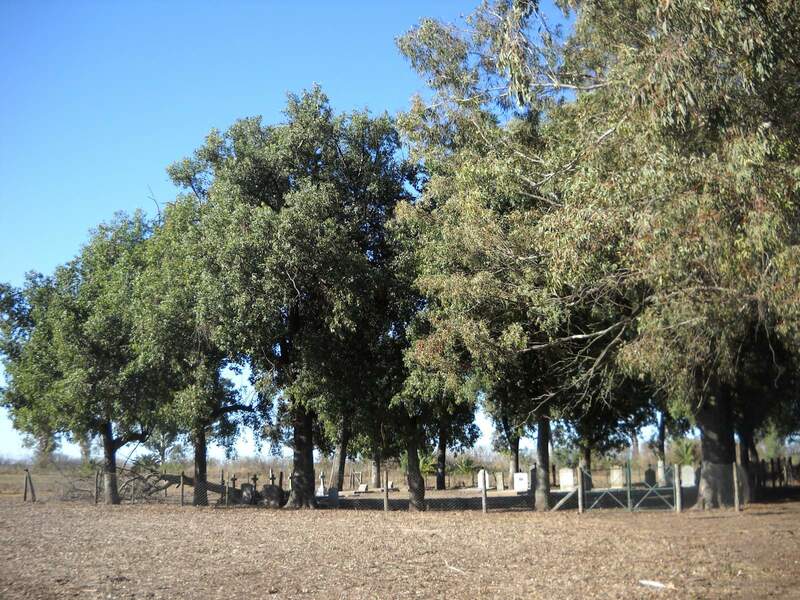 The offending eucalyptus have been replaced with other species on the sides of the cemetery. 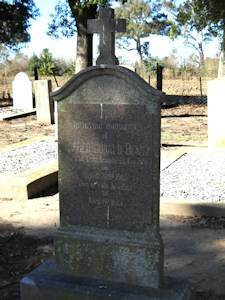 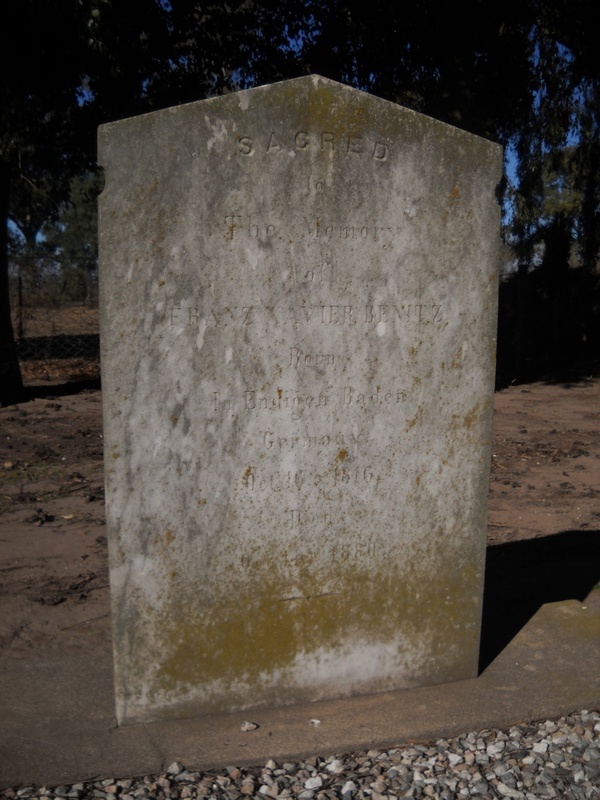 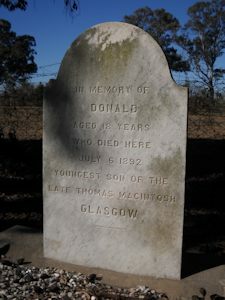 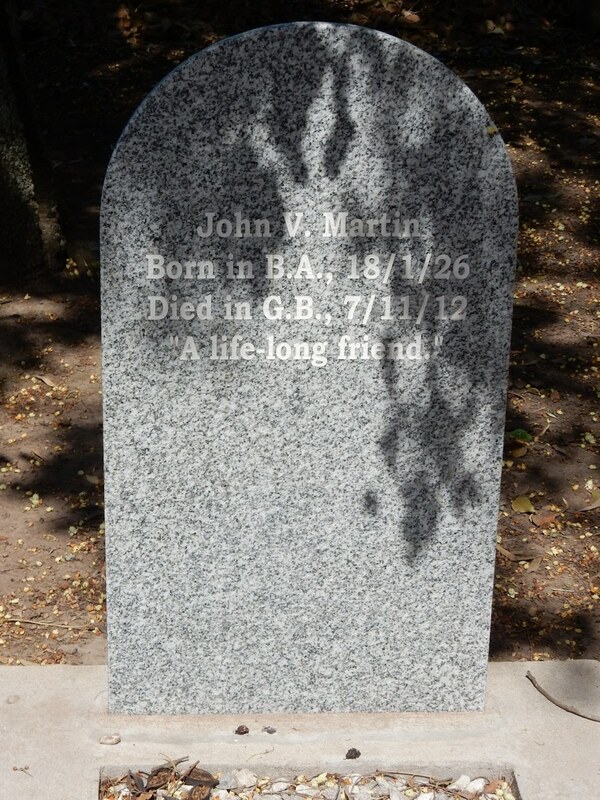 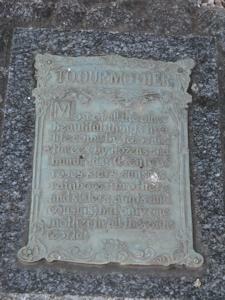 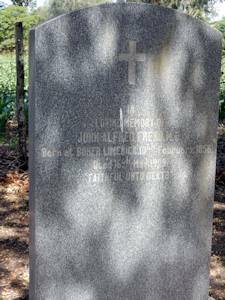 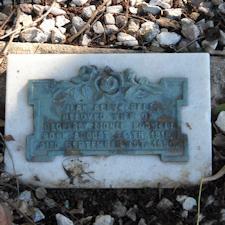 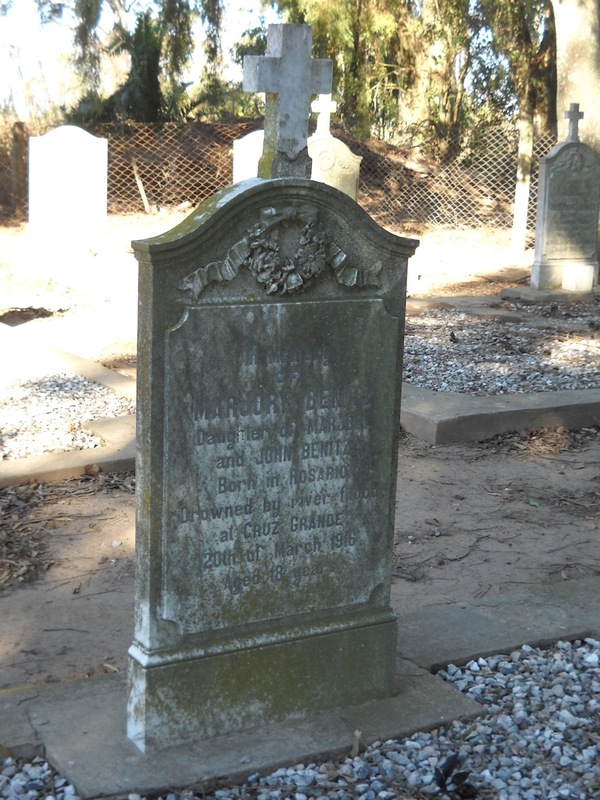 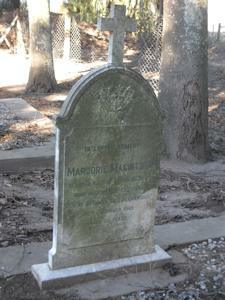 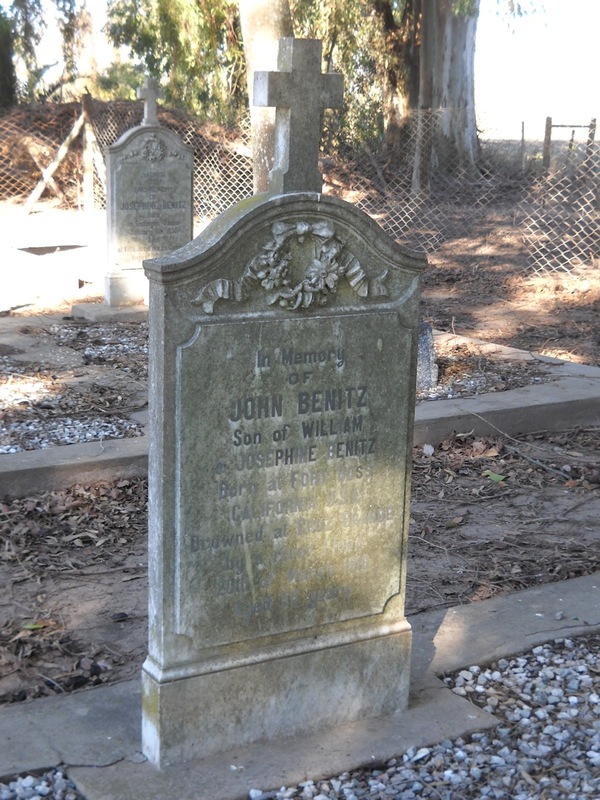 Click here to see a List of Gravestones – current through August, 2014. 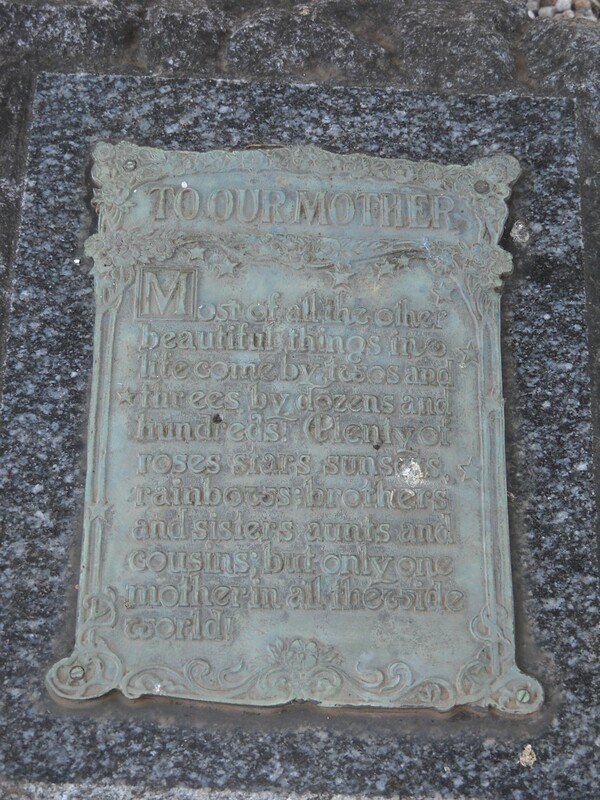 Text within quotes beneath a photo was written on it's back or next to it in an album. 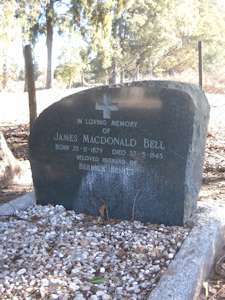 Abbreviations: Bz-Benitz, K-Kolmer, Mac-MacIntosh, S.-Schreiber. 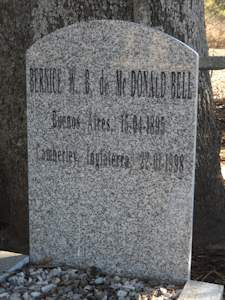 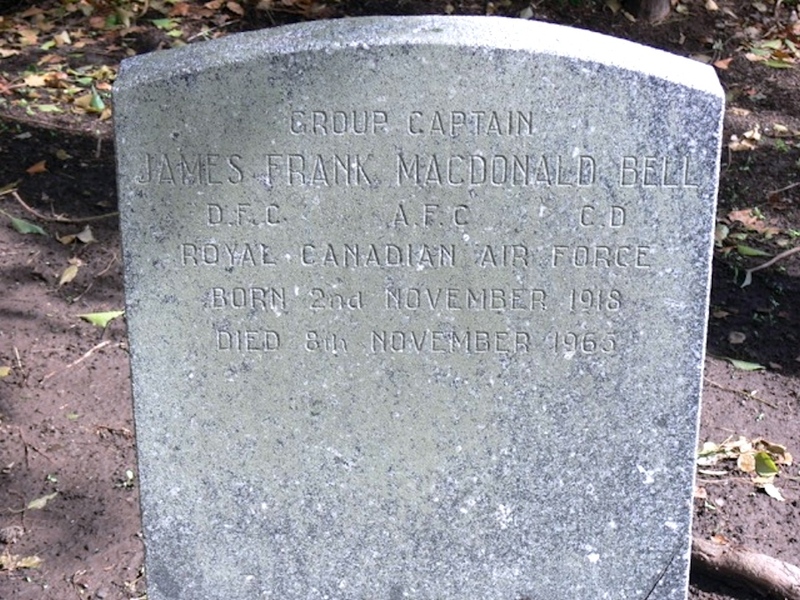 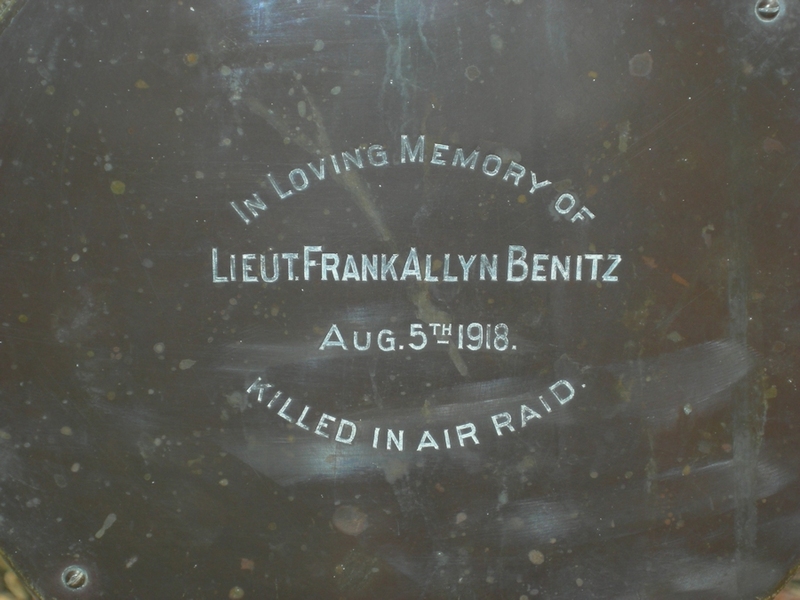 Born at Fort Ross California, U.S.A.
J. Frank M. Bell, Frank A. Bz (cross). 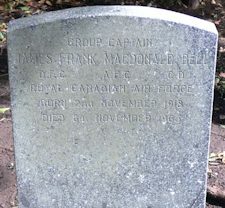 the home-town of his RAF Squadron. Donald Macintosh, plinth, Herman V. Bz, Alfred D. Bz. 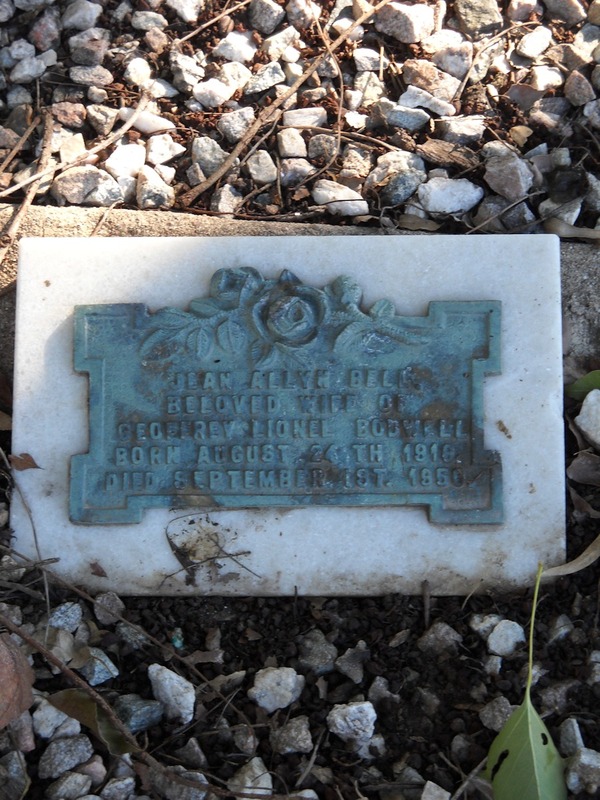 Born at BOHER, LIMERICK, 10th February, 1856.